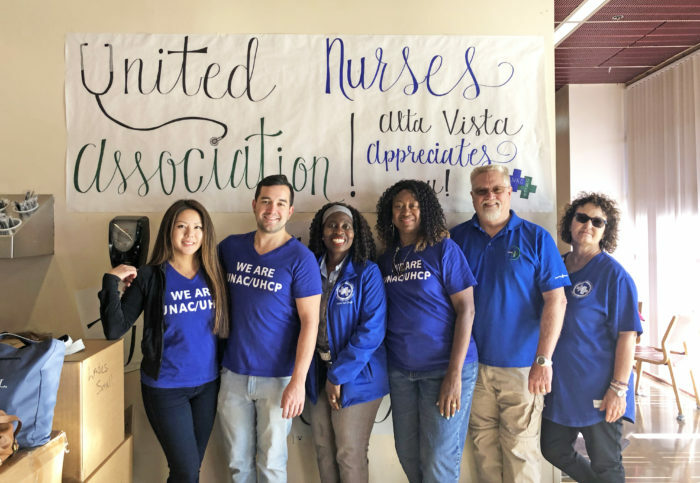 Earlier this fall, Kaiser San Diego Health Care Professionals Association (KSDHCPA) began a collection drive to benefit the students of Alta Vista Academy—a Chula Vista public school and behavioral facility that provides education, care, and treatment to at-risk children. On Tuesday, November 13, KSDHCPA officers and stewards delivered all of the donation items collected over the past several months by their affiliate’s members. Later that afternoon, they were also given the opportunity to engage in a discussion with the students about the nursing profession and the various education pathways available when considering a nursing degree. Their efforts and contributions were met with a deep sense of gratitude from both the faculty and students.